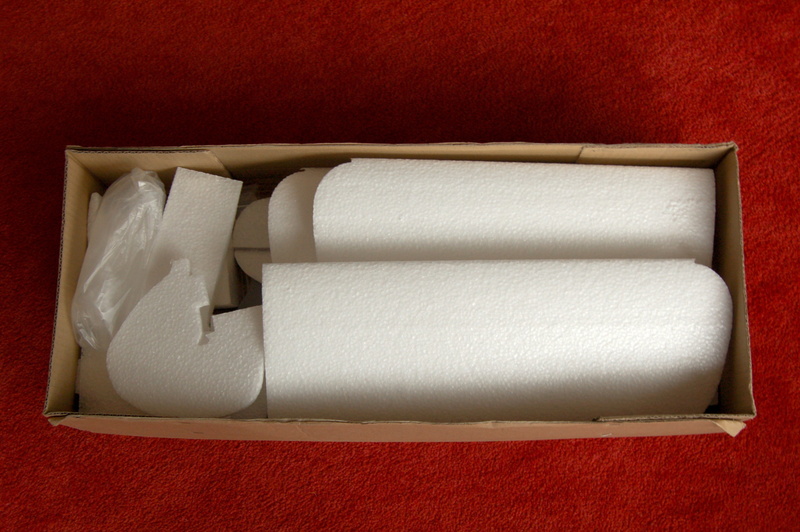 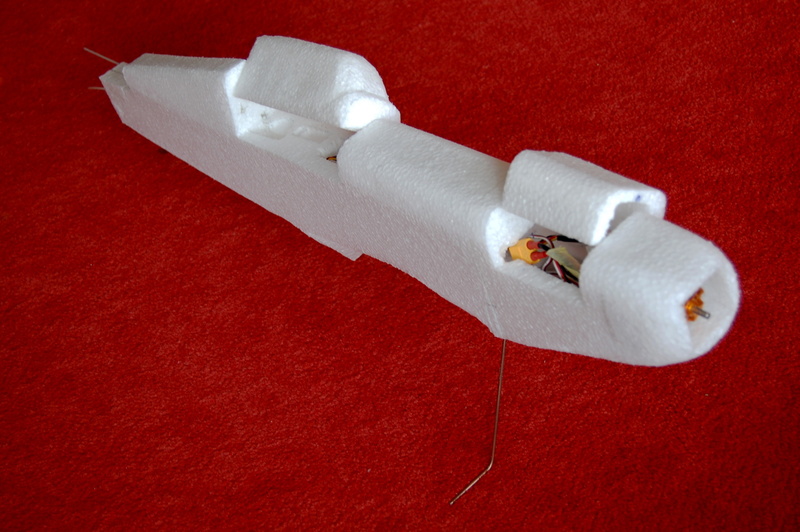 The simple cardboard box contains EPP cutouts, carbon sticks, engine plywood, transparent cab, and levers for control surfaces. 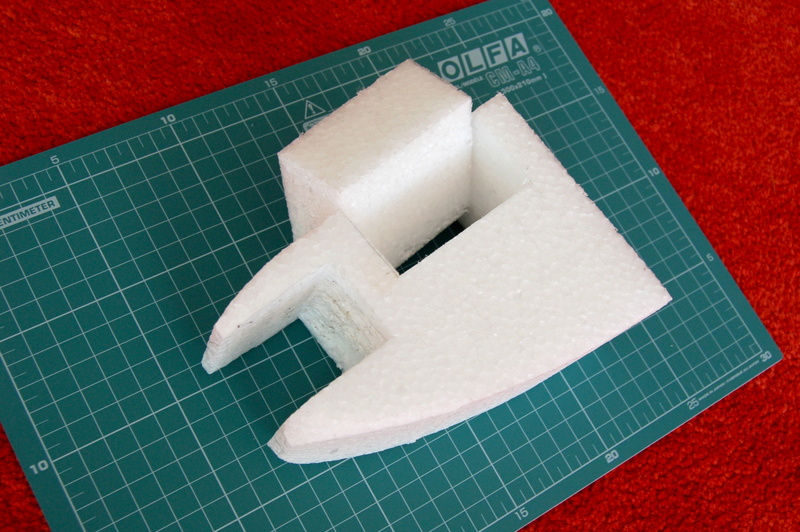 The front part of the hull is separated. 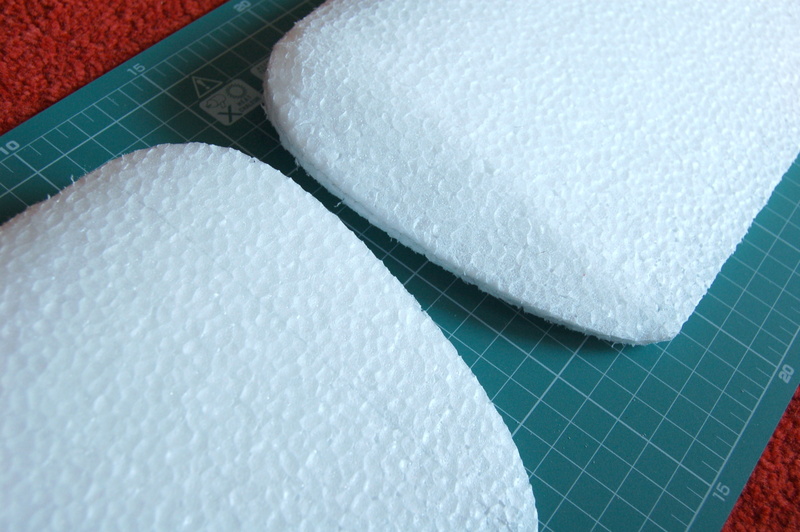 It is necessary to prepare the compartment for the battery and for the electronic speed control. 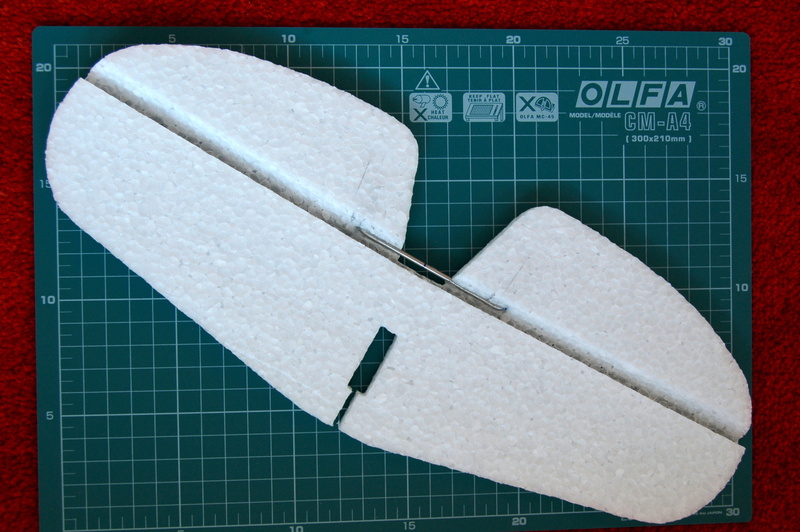 The leading and trailing edges of the tail surfaces are adjusted. 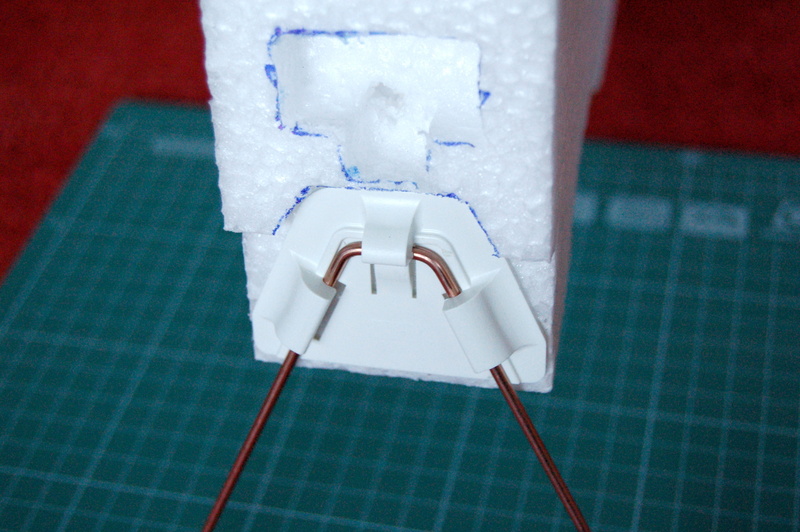 The two parts of the elevator are connected by “C”-shape wire. 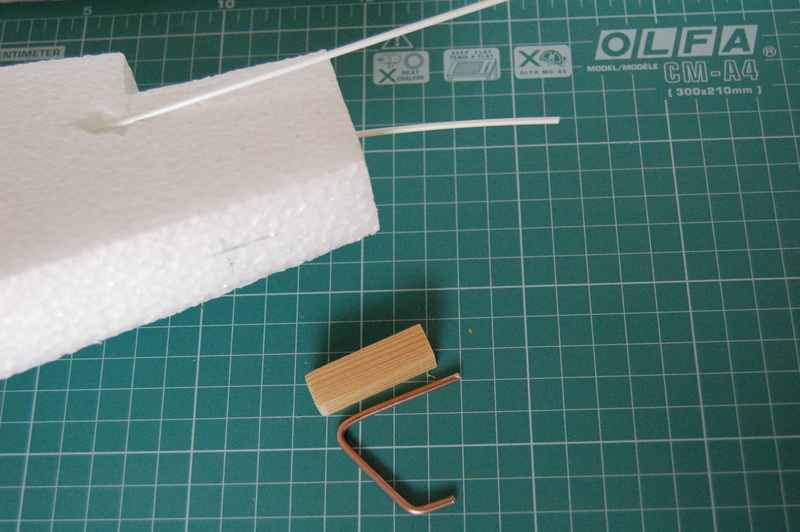 Steerable rudder is equiped by hinges. 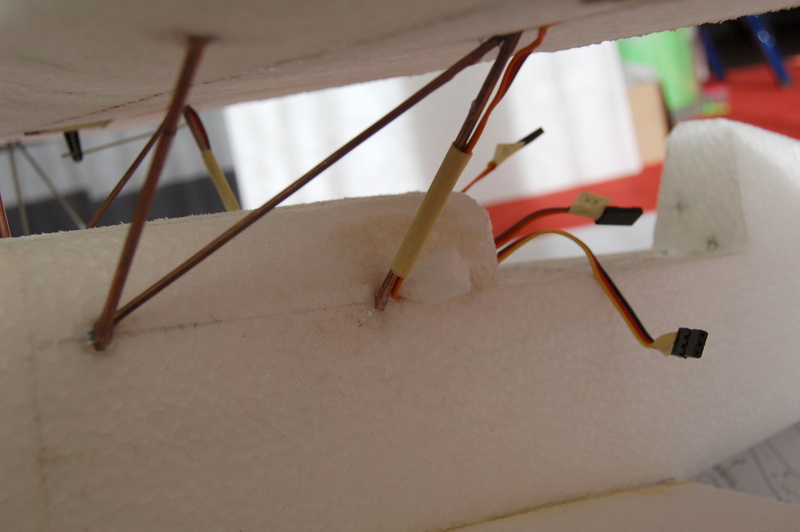 Bowden cables passed through the hull are used for the rods of the tail control surfaces. 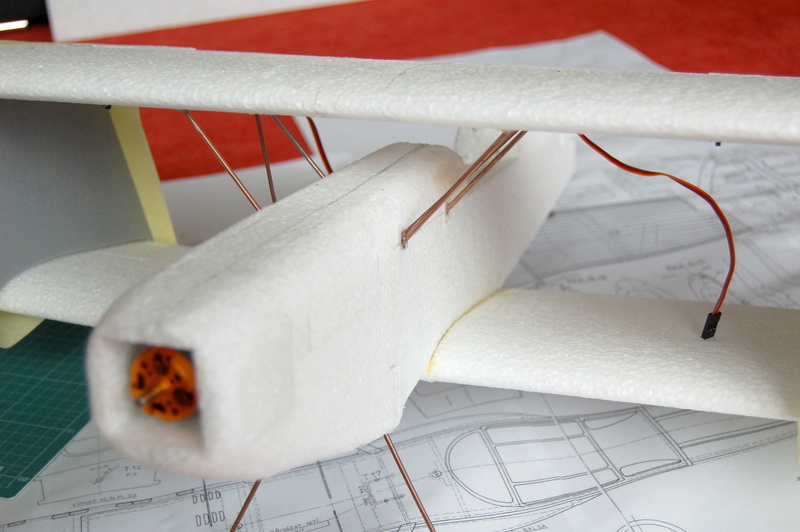 The main undercarriage is made of welding wire. 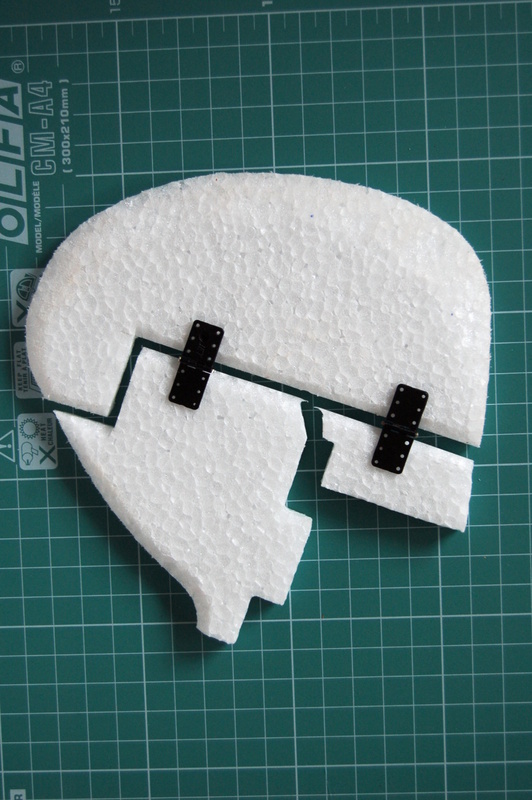 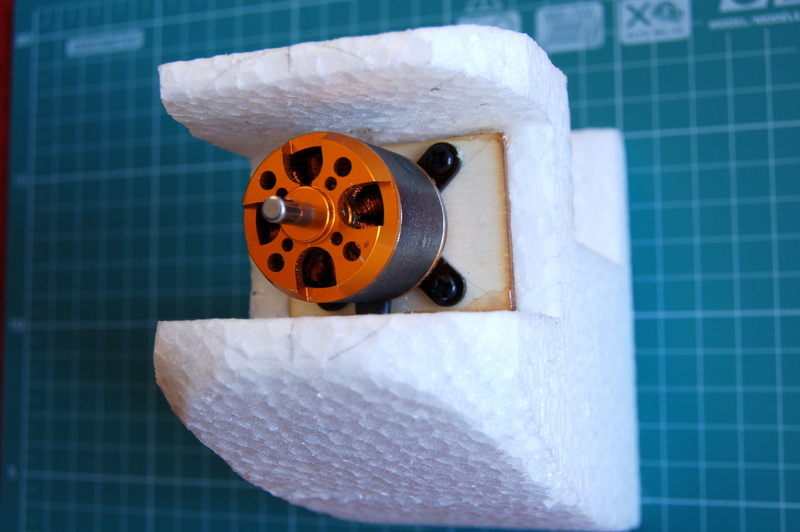 The plastic holding jig originally intended for Multiplex MiniMag is used to fasten it. 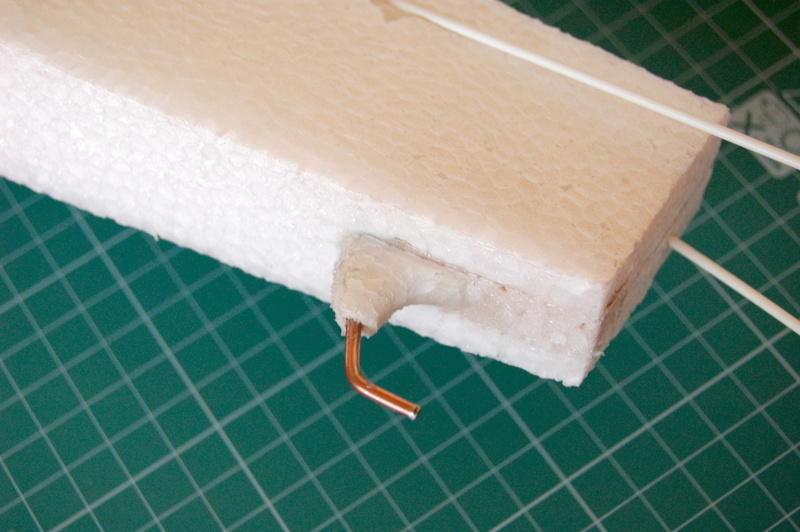 The tail skid made from the welding wire is glued into a wooden block. 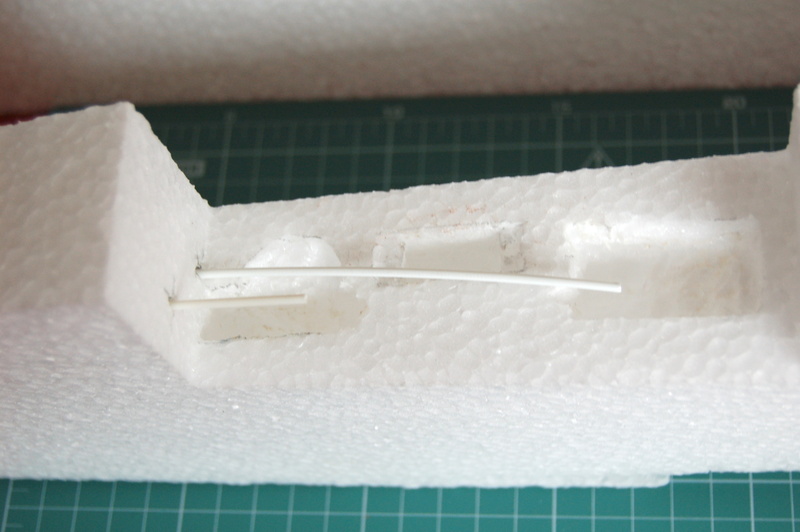 The wings have modified end parts and they are reinforced with carbon sticks. 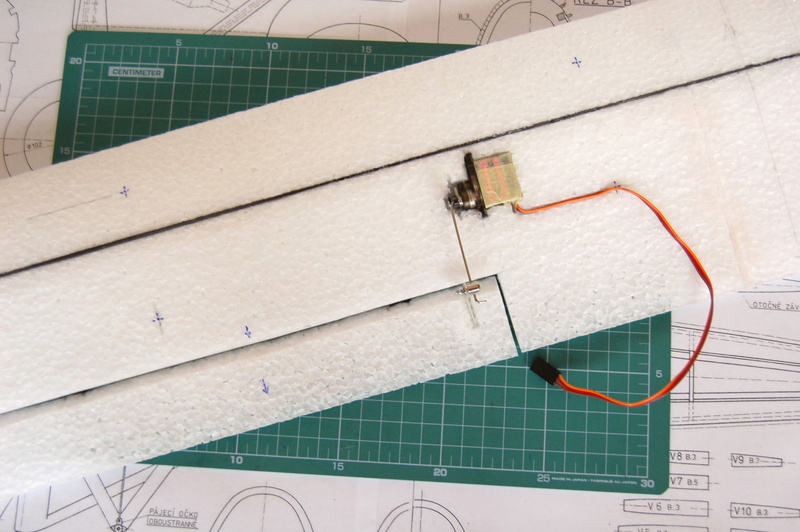 The fuselage has a detachable front bonnet (battery and regulator) and the cab (access to receiver and servos). 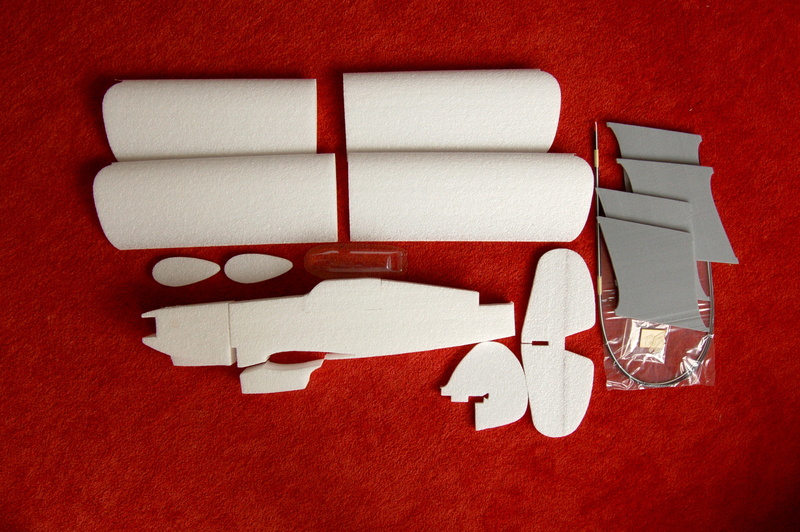 The attachment of the wings was made easier thanks to the templates. 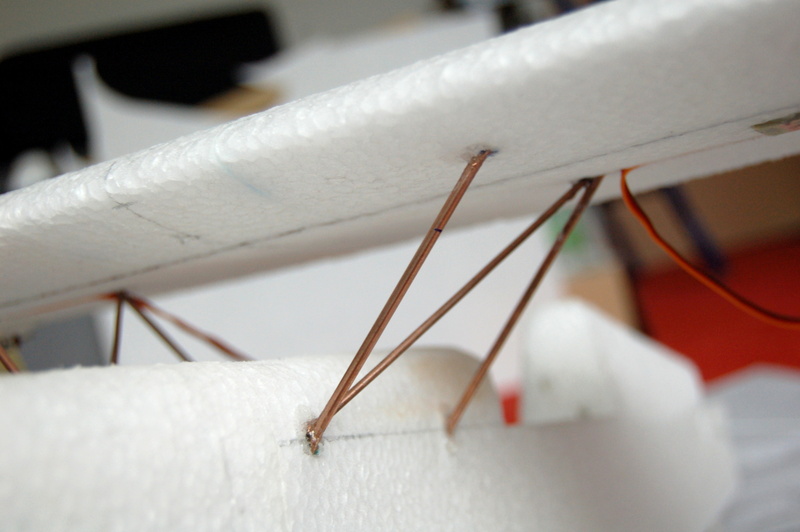 Wing struts are made of welding wires. 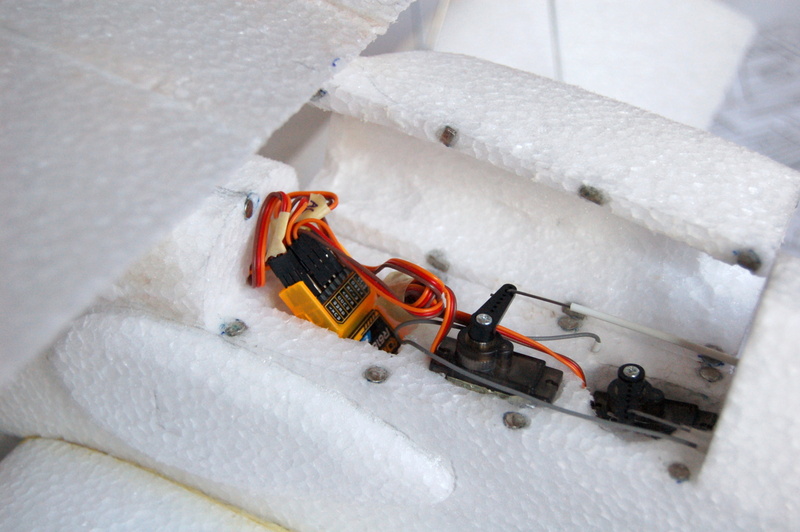 The receiver and the servos of the tail surfaces are under the cab. 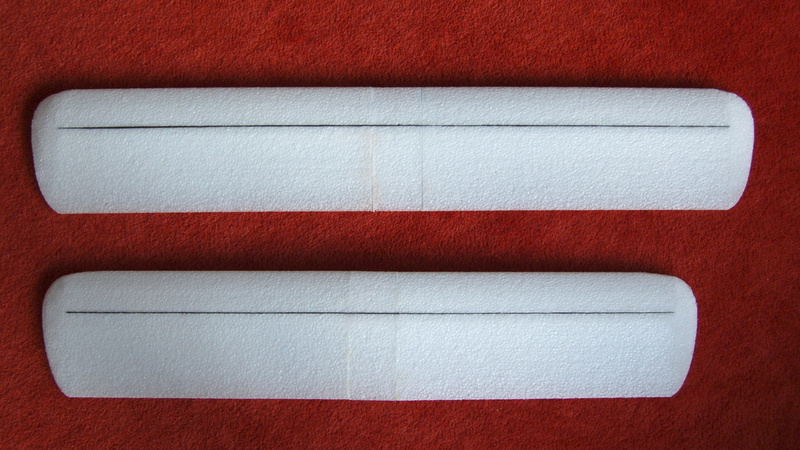 The cover is secured by magnets. 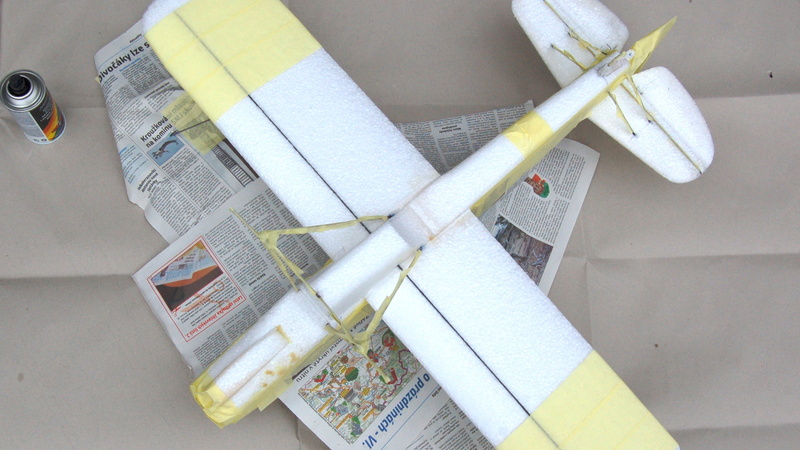 Camouflage is sprayed with car spray paint. 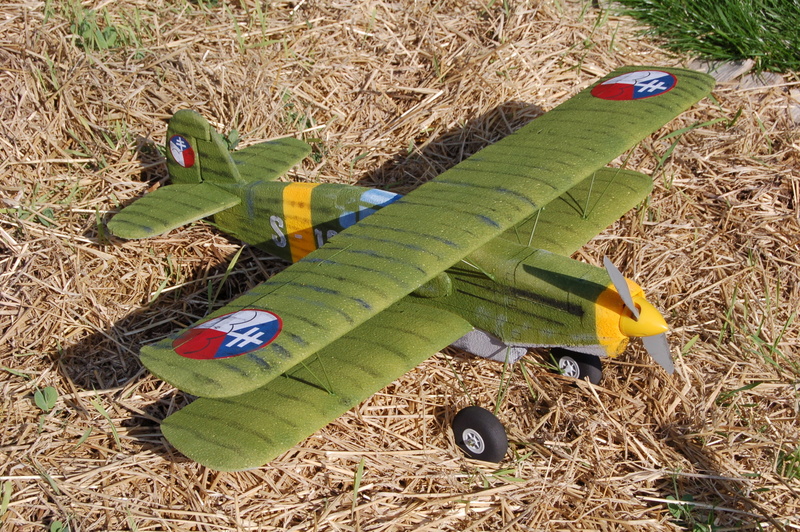 The original is a machine that helped the Slovak National Uprising in 1944 (even if the emblems were probably others). 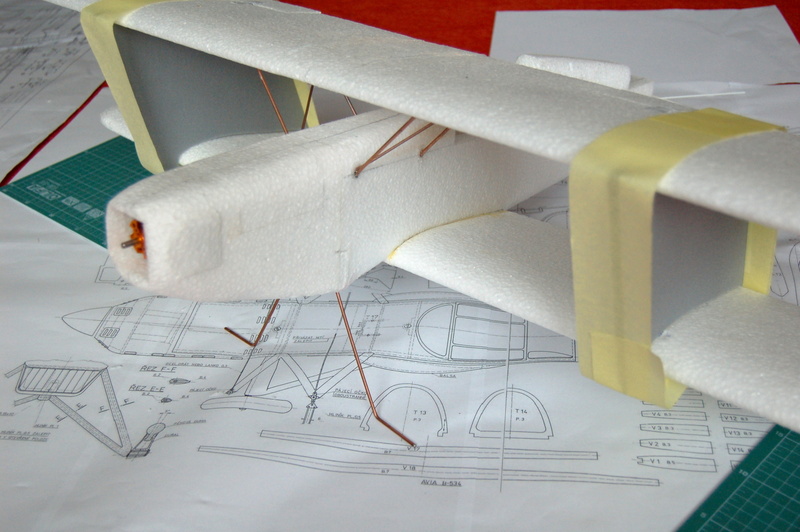 wingspan: 91 cm / 35.8 "
length: 76 cm / 29.9 "
propeller: 9 x 6 "
Plans of Zd. 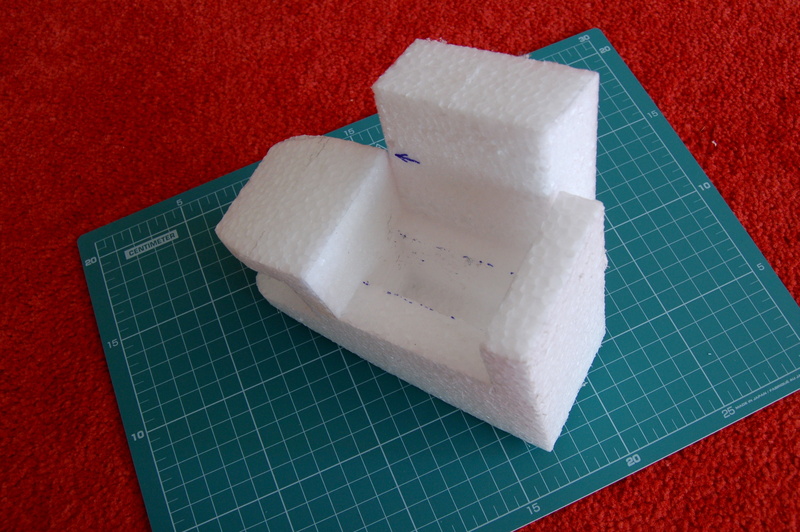 Bedřich, Brno, for making of control-line model.